I was at the Kukutali Preserve this morning looking for some fall color. No luck with that. There wasn't any wildlife to speak of either. Even the Banana Slugs have ducked for cover. After yesterday's rain, that surprised me. 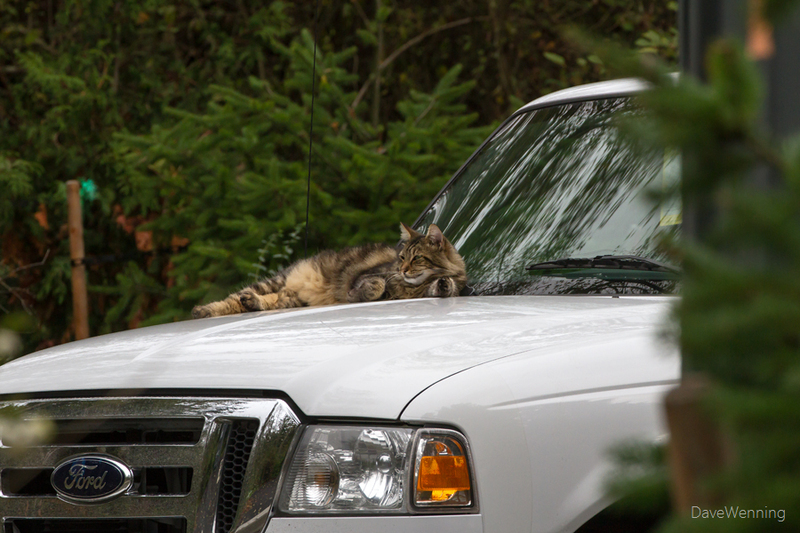 When I got back to the parking lot, I found this guy taking a snooze on the hood of my truck. At least I had something to show for the morning. 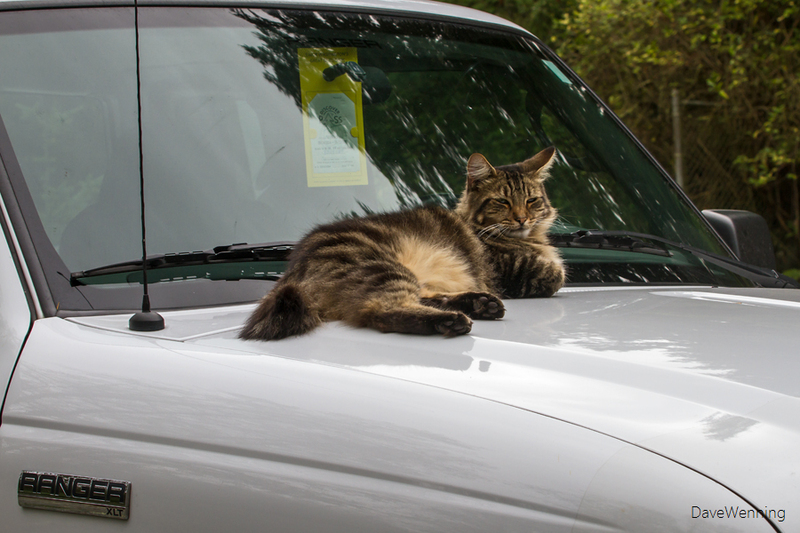 After verifying that I had a valid Discovery Pass, I surmise that Kukutali Kitty took on the task of watching over my truck. Or perhaps the warmth of the engine just made an inviting spot for a nap. Meanwhile, this is what fall in the Kukutali Preserve looks like right now. It is still mostly green around here. Nevertheless, it was a very pleasant hike in the woods. 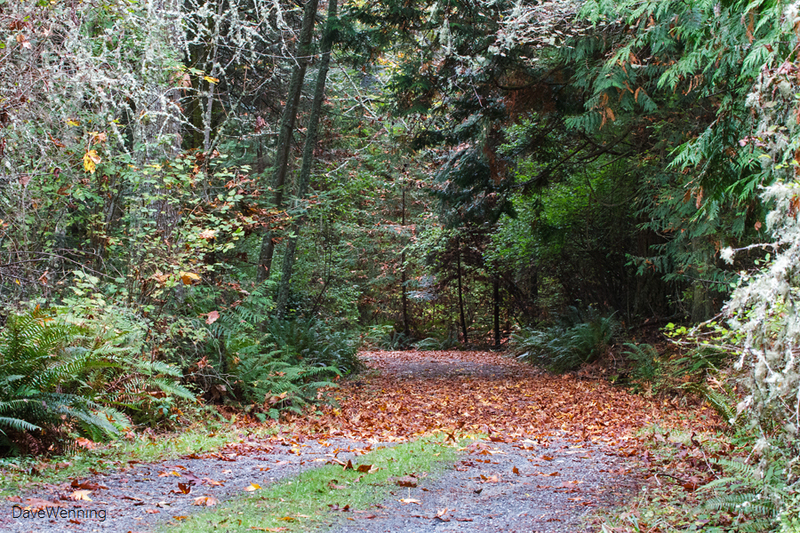 "Fidalgo Island Crossings" has been included in our Sites To See #403. Be assured that we hope this helps to point many new visitors in your direction.